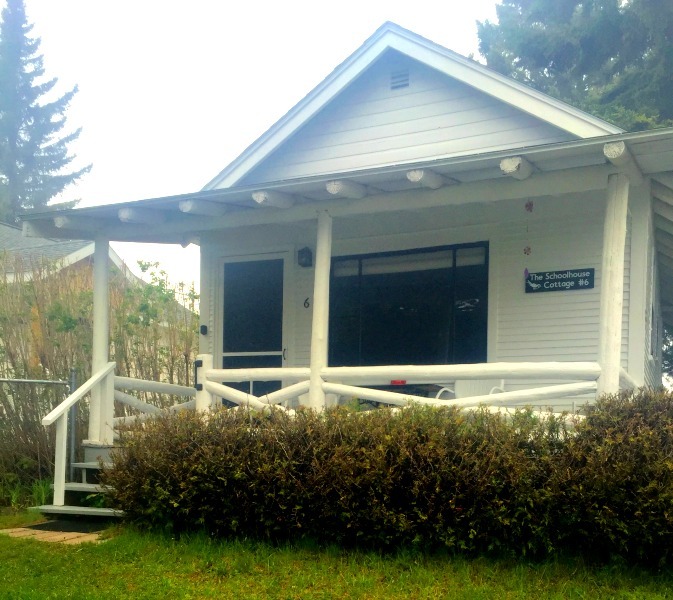 This cottage was originally a one-room schoolhouse that was moved from a mine (mine unknown.) A bedroom, bath and kitchen were then added on along with a log front porch (covered) which offers a magnificent view of Eagle Harbor. 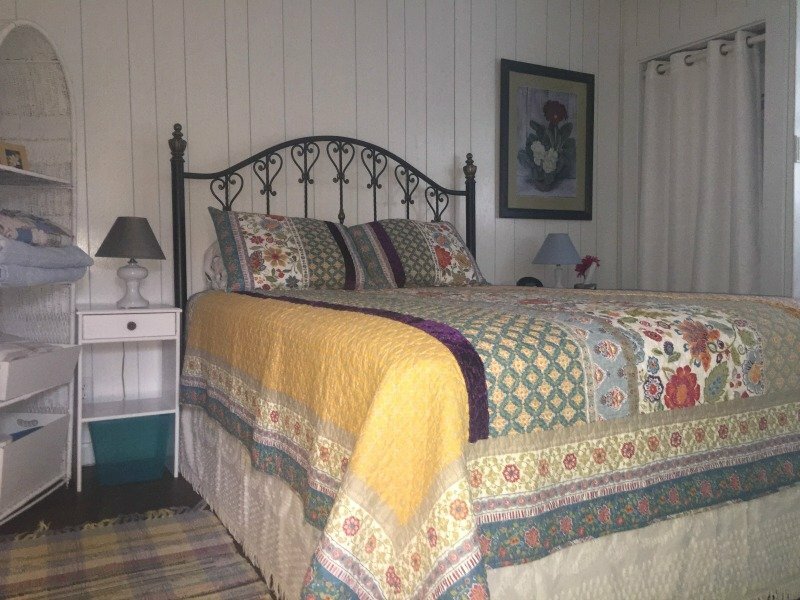 There is one bedroom with a queen bed. 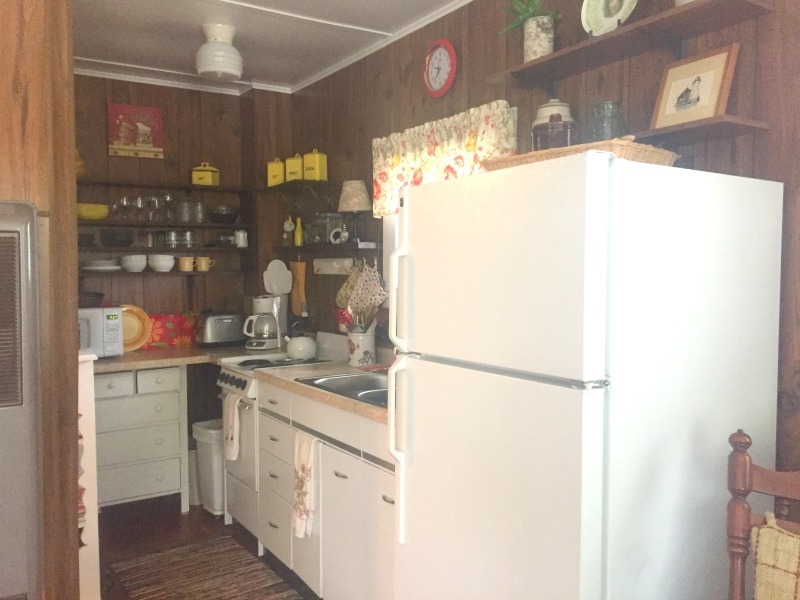 This cottage has a FULL kitchen and a living room area. The best view of the water is from this cozy cottage! Smoking: Smoking is not permitted anywhere on the property, including the porch. Swimming: Swimming is definitely recommended at the beautiful beach down the street. There are rafts available in the cottage for you to use. Wi-Fi: Yes there is Wi-Fi. It is shared by all 3 cottages. This unit is in a nice location - close to the lighthouse and lighthouse museum. 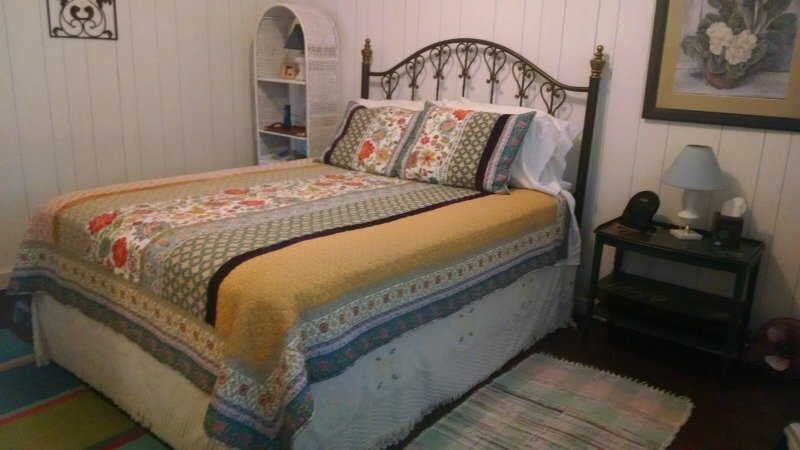 The unit is a nice size, well kept, and comfortable for two people. It appears to be the largest cabin of the site. We would stay there again. Raymond, we are so happy that you had a good time at Eagle Harbor- Schoolhouse Cottage. It's a pretty unique place. We hope you return! As good as it gets for under $200/night!!! The mechanical is is perfect shape and nicely decorated with excellence. There is nothing that could be done to make this more comfortable. Clean, no bugs, screens in all four directions and lots of little fans. Hot water, WIFI and every imaginable kitchen gadget. Timothy, thanks for this great review! We always love hearing that our guests appreciate Schoolhouse Cottage as much as we do! We hope to see you again. Peter, it makes us very happy that you enjoyed your stay at Schoolhouse Cottage. 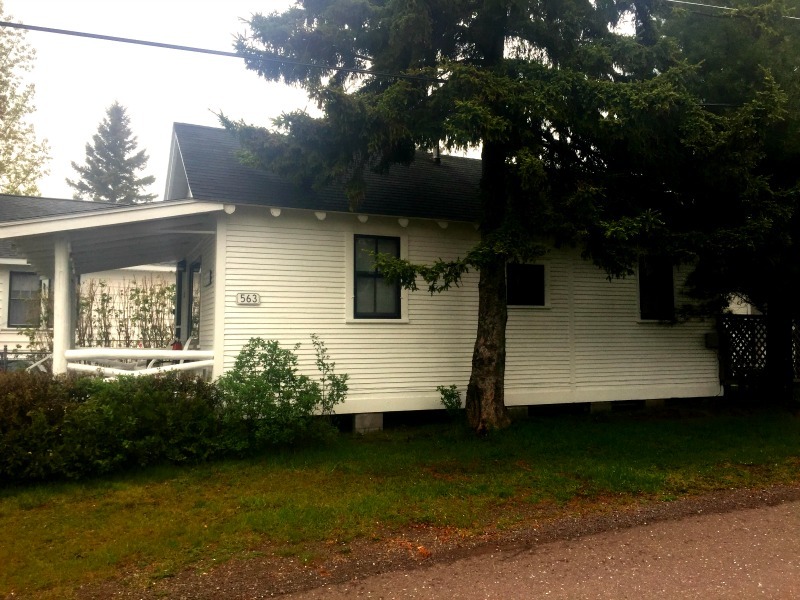 It is such a unique property, and its proximity to Eagle Harbor and Copper Harbor makes it all the better. We hope to see you again. 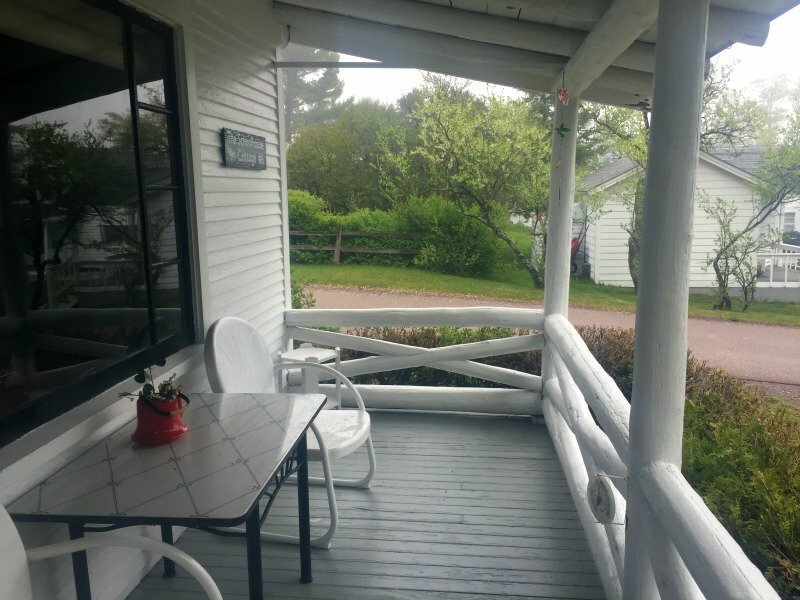 The Schoolhouse cottage is in a nice location in Eagle Harbor. Steps away from the light house, a view of the harbor and beach out the front window. The Eagle Harbor Inn / Restaurant is a short walk down the street. You are within 30 to 45 minutes from the attractions in the Keeweenaw. 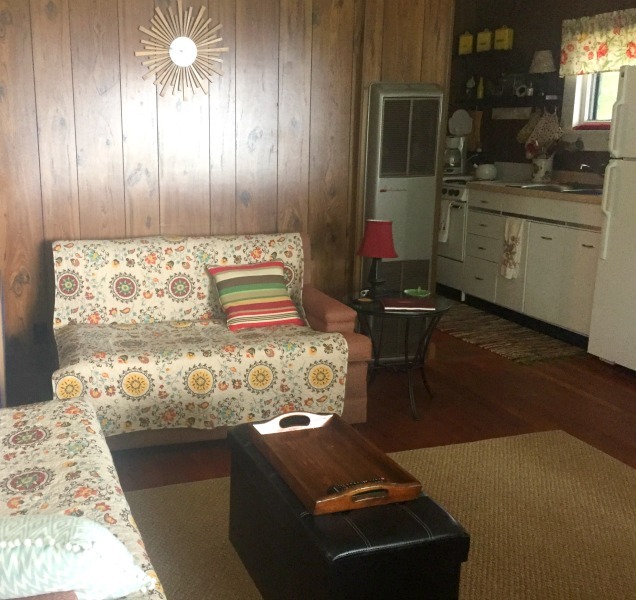 The cottage has a living room, bedroom, kitchen, and bathroom. It was clean and is nicely furnished. Philip, we are so happy that Schoolhouse Cottage fit your needs for your vacation. We love being so close to the lighthouse. We hope to see you again at one of our properties. What a lovely place to stay, again! Our 2017 stay was so pleasing that we repeated this year. 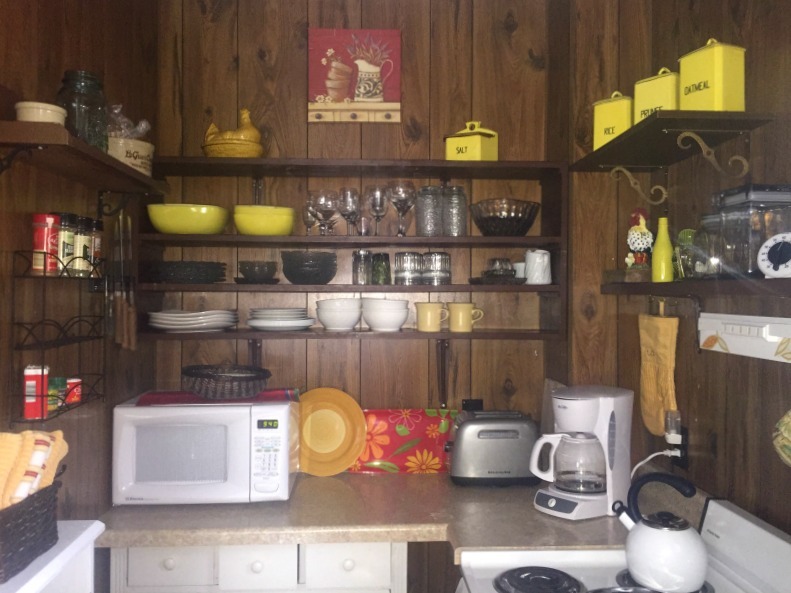 Schoolhouse is excellent for two; well-equipped Kitchen with appliances, cooking implements and supplies, 1 minute walk to the Freshwater laundry and trash bins, Queen bed and a small but well organized bathroom. Great housekeeping with everything clean; crisp linens and plenty of towels, etc. Ray we love our repeat guests! Thanks for this great review and we'll look for you again next year! This was our second vacation stay at the Schoolhouse Cottage. The front porch has a beautiful water view. The cottage is clean and so well equipped. Can't say enough good things about this place we have come to love! Ray, we are so glad that you returned to the Schoolhouse Cottage again this summer, and we're hoping to see you again next year! 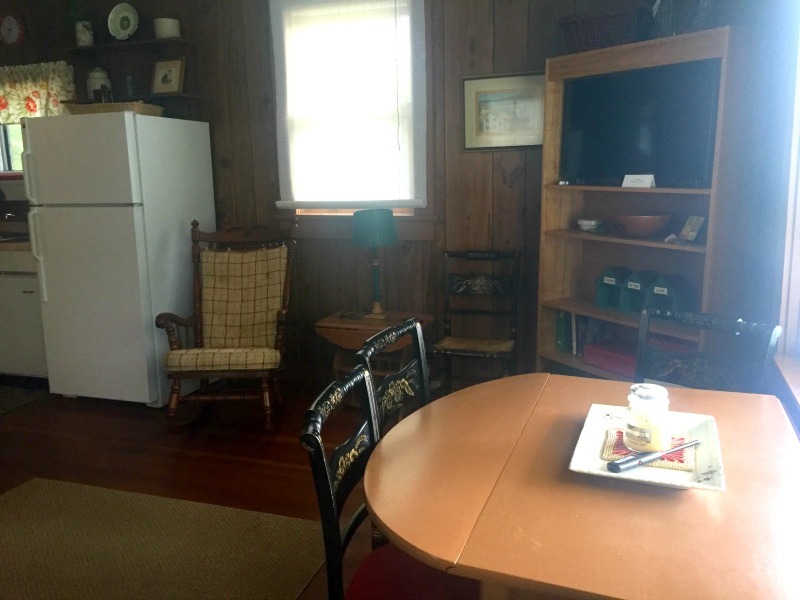 Clean, spacious cozy cottage contains everything you need for a relaxing vacation. 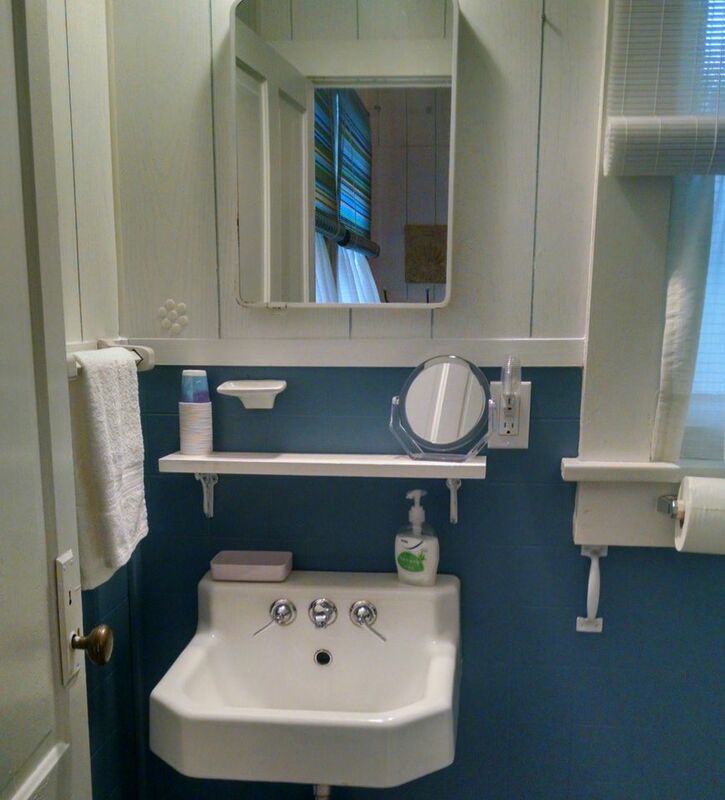 Peggy, we are so glad that Eagle Harbor- Schoolhouse Cottage was so perfect for you! Please come back again. I absolutely love Eagle Harbor and the Schoolhouse Cottage was a wonderful little cottage to stay in while there. 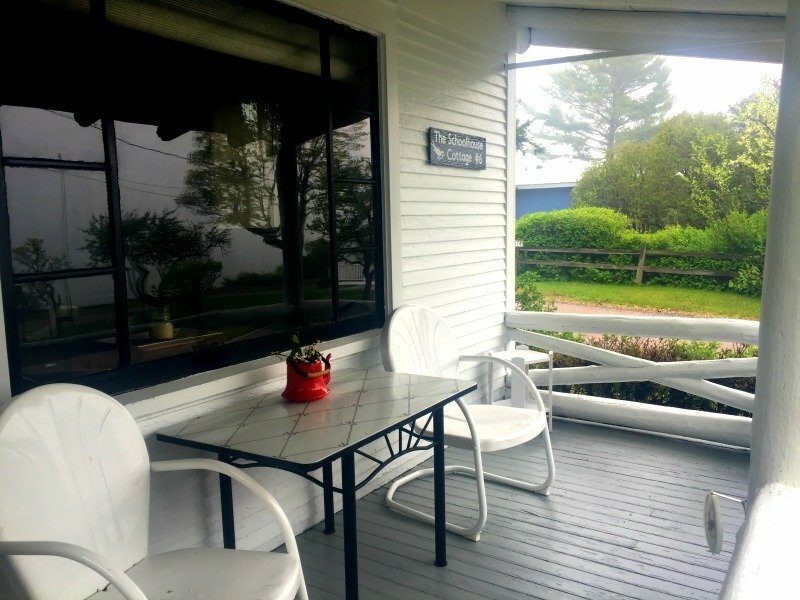 You can't beat the fantastic view from the porch and it's perfect location near the lighthouse. It was clean and had all that you need for a comfortable stay. The owners were very accommodating and friendly. Can't wait to go back! 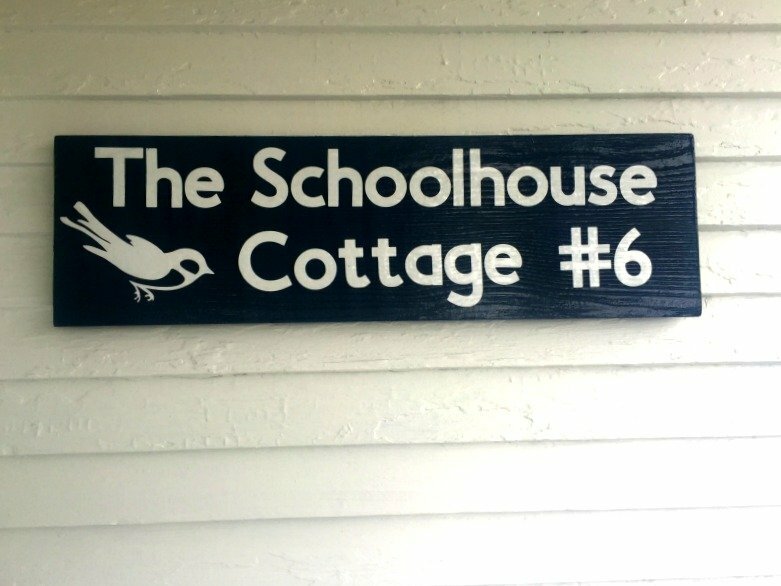 We love that Eagle Harbor School House Cottage is your happy place! The lighthouses in MI are so special, and being as close as you are from the School House makes staying there even more memorable. This cottage was exactly what we were looking for on a recent trip for just my wife and I. It is a short drive from Copper Harbor, Ft. Wilkins, Brockaway Mountain and more. Each night we walked 300 yards to the viewing platform by the lighthouse to watch the sun set over Lake Superior - awesome! Without a doubt we'd stay here again. Stephen, aren't lighthouses the best! Lake Superior has it's own magic, and then you add a lighthouse and a sunset and words cannot describe its magnificence. 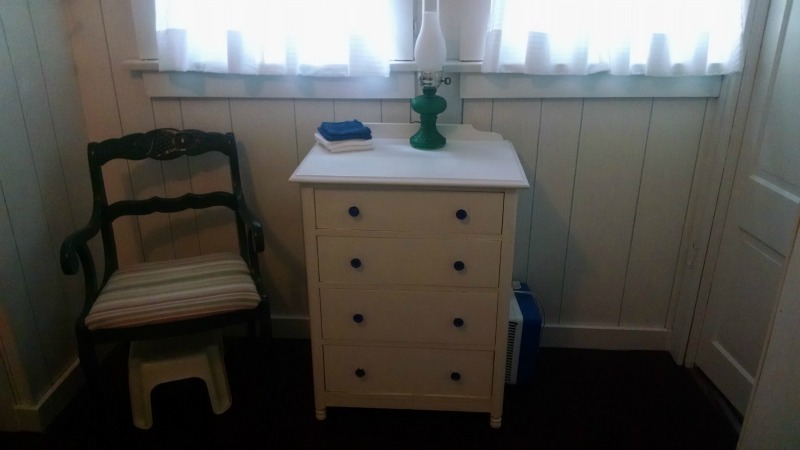 We are so glad that you liked the Schoolhouse Cottage, and we'll be even happier to see you again. Remember that returning guests get a 10% discount. The booking was easy. 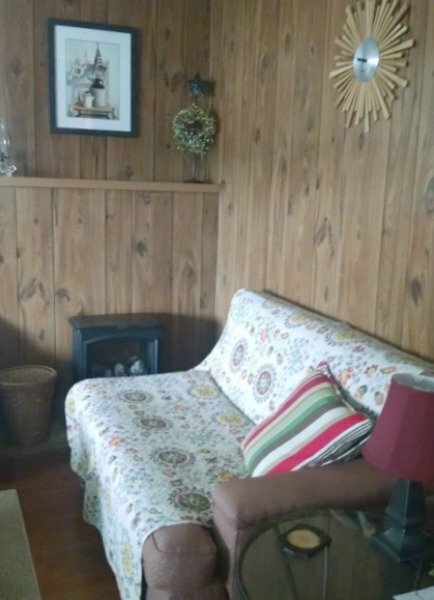 The cottage was clean and had everything we needed. Attention to detail to make a guests experience comfortable was best. The location was fabulous. It felt like home. Owners were great. We are really happy that you enjoyed your time at Eagle Harbor- Schoolhouse Cottage. It's such a cool place. When a guest says it felt like home, we know we have succeeded, so thank you for that. We hope to see you again in the future!